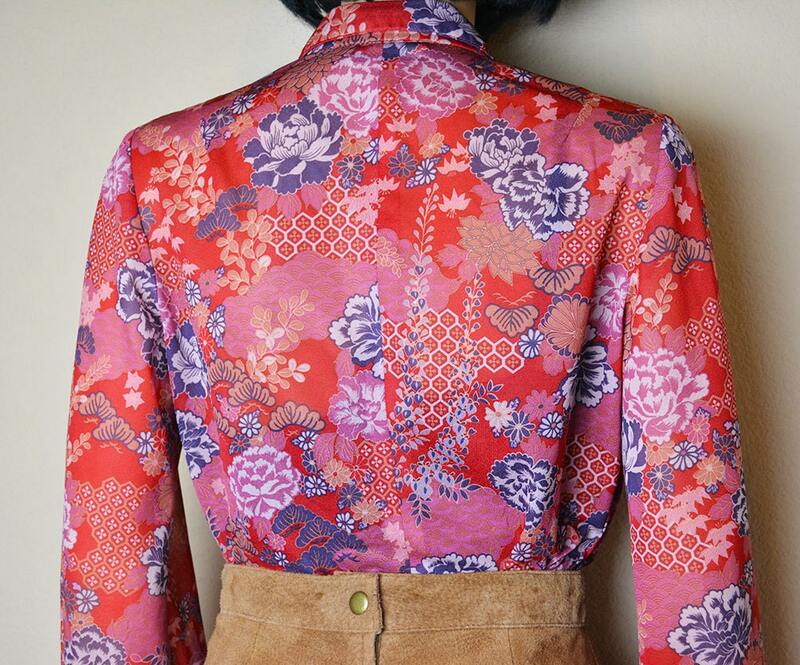 If you stop by the Wishful Amy shop frequently you know your girls love Asian print blouses. 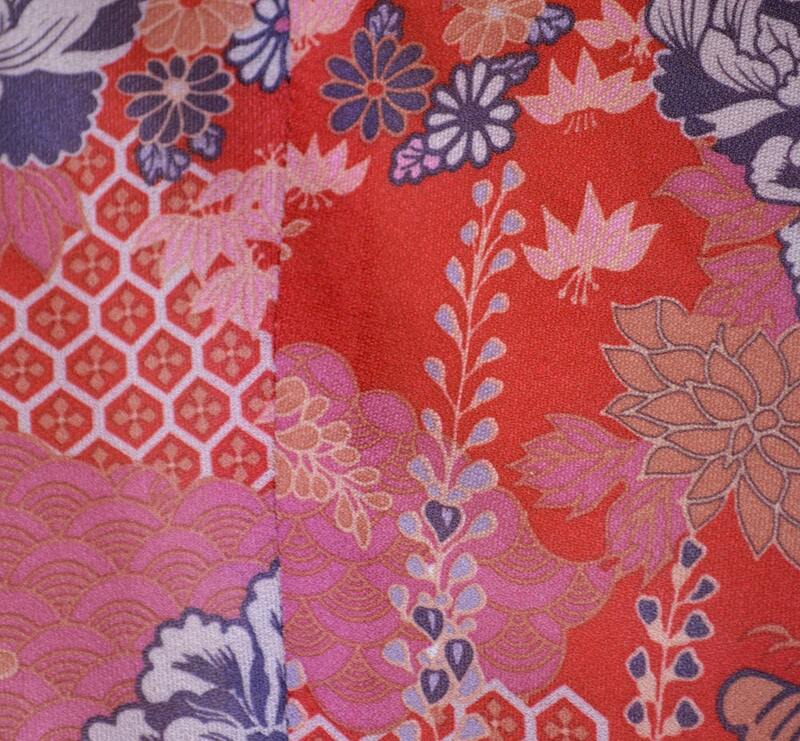 Really anything Asian print. 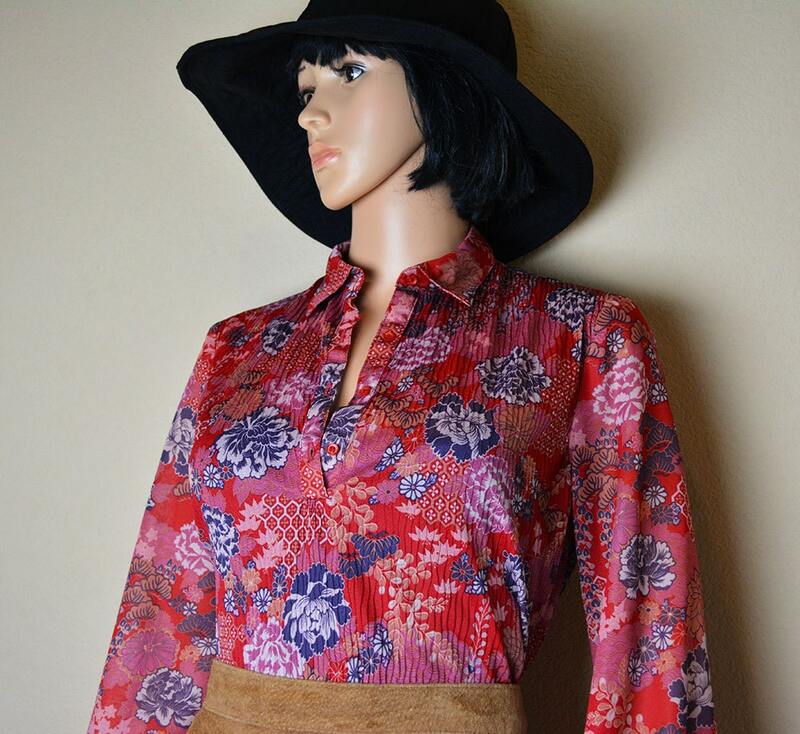 That is why we fell in love with this 70s blouse. Plus the bright red color is so gorgeous! 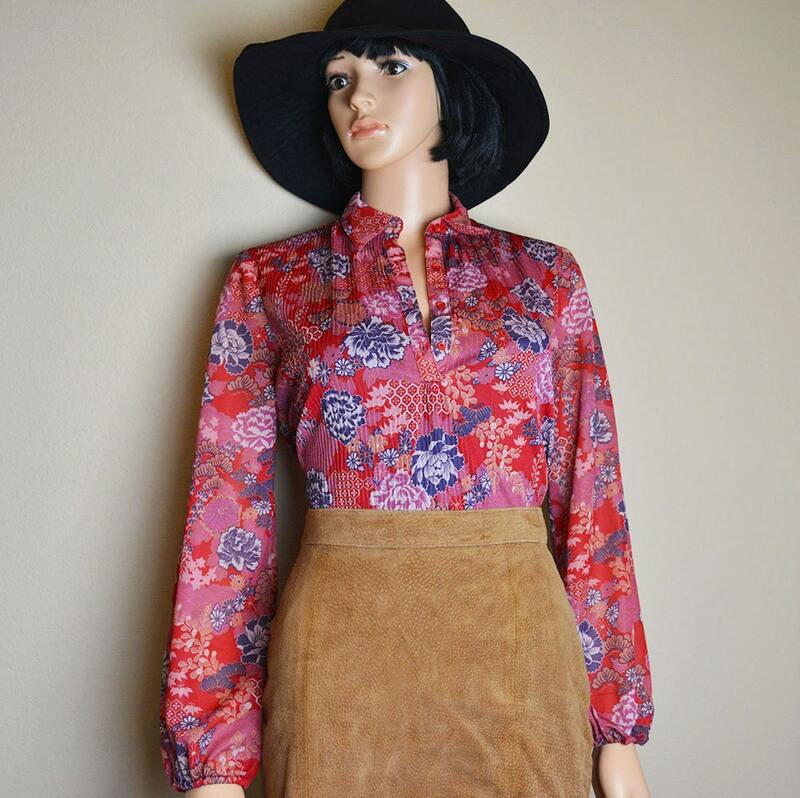 This shirt does also have a boho chic vibe which is why we paired it a black floppy wide brim hat and a tan suede skirt. It is also somewhat shear so we put a bralette underneath it. 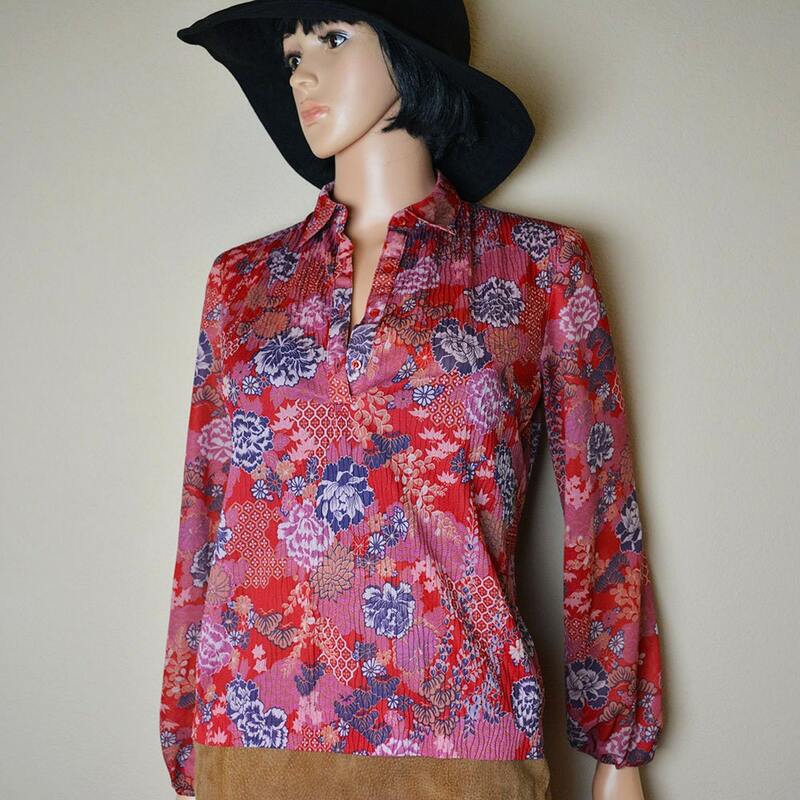 This blouse was originally sold at Neiman Marcus, and it is in very good vintage condition. Size: None listed, but I would estimate it to be a size small.